The transport of men over water is centuries old. But it is only since the forty's of the last century that the attacker saw the great advance in putting men and cargo, when the harbours were not usable, on beaches. This brought extra concerns to the defender, not only the harbours needed defences, but where to put strongholds on the sandy coast? 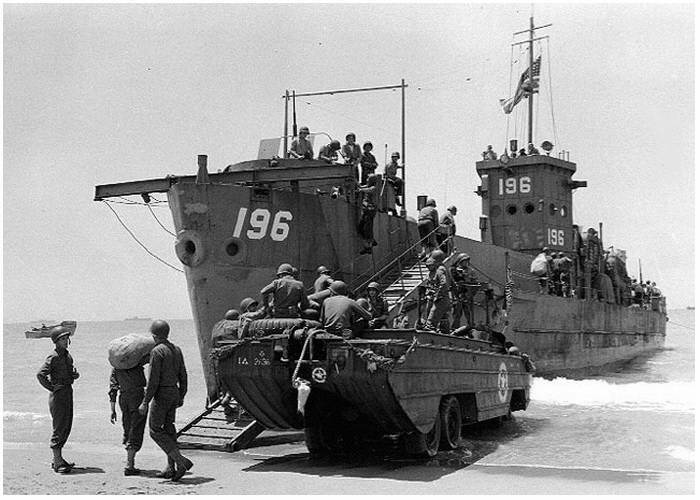 The thought to bring personnel and cargo to the beaches led to a great assortment of flat bottomed landing craft. All with their own speciality for an attack on a coast. Below, you'll find a short summary of the different types used during D-Day. 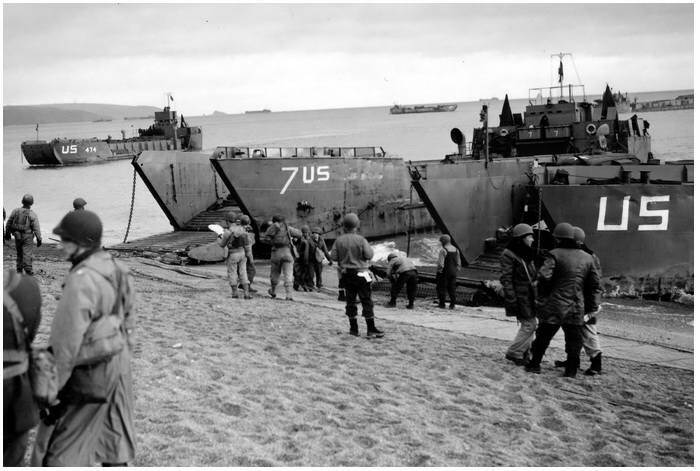 Without these special landing craft there was not a chance to bring an amphibious landing to a success, let alone to start one. When at the end of 1940 the threat of an invasion of England by the Germans diminished, the British came up with plans to built a fleet of landing craft. With these plans a team left for the United States to request under the 'Lend-Lease' that they could built a Landing Ship Tank (LST) and a Landing Craft Tank (LCT). From every type the British ordered 200. At first the American were not that keen, but eventually they would not only built LST's for the British, but ordered also for there own inventory. The design of the British was the basis for John Niedermair of the Bureau of Ships, who started redesigning in November 1941. The proposed ballast system was redesigned. When the LST was at sea it took in seawater for more stability and when it was on landing operations the tanks were emptied to create a flat bottomed craft. The British produced 20 LST's. These were a bit longer then the American version, and were steam driven. 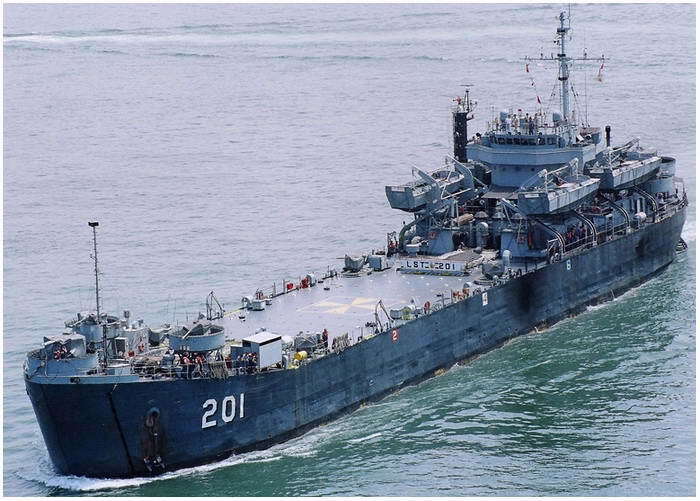 These gave the LST a speed of 13 knots, against the 11 knots of the American version which had diesel engines. The ships were, because of their shallow depth, slow and cumbersome to handle. They were an easy target. The crew who sailed these vessels called the LST, the 'Long Slow Target'. America built 1051 LST's, 113 of these went to the British. 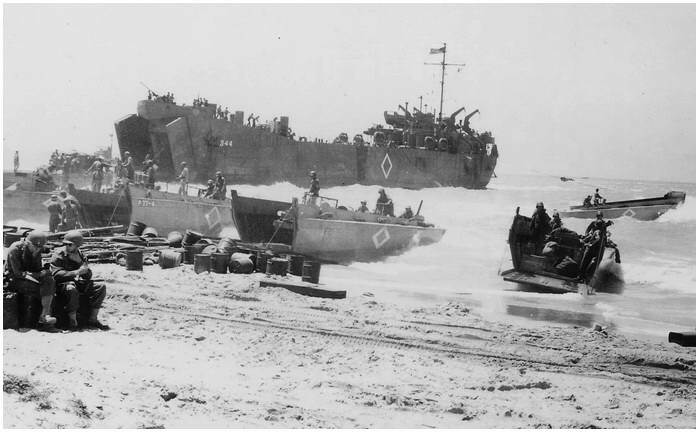 The Landing Ship Tank was designed especially for unloading large quantities of vehicles and cargo directly on the beaches. 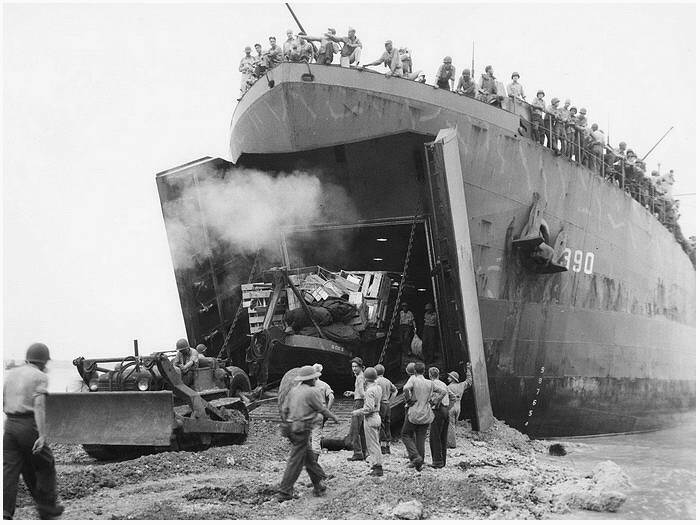 When the LST hit the beach the two vertical bay doors opened up so unloading could begin at once. In the davits was place for the light attack landing craft, like the LCVP (see above). On deck was plenty of room for a Landing Craft Tank (LCT) to be placed on, and light vehicles. Below deck was space for 20 Sherman tanks. 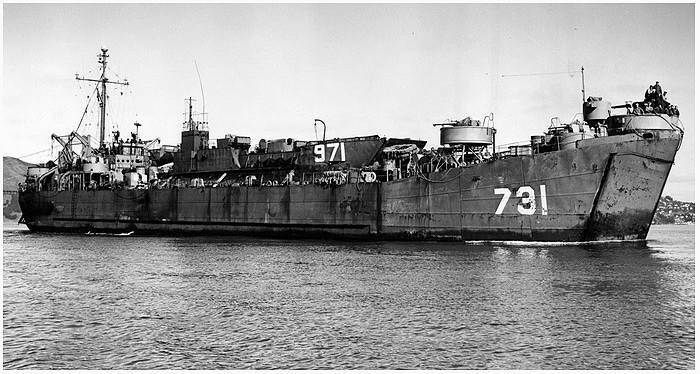 The first LST's were equipped with a lift that brought the vehicles from the upper deck to the lower decks. Later models used a internal ramp that went directly to the bow for unloading the cargo from the upper deck. 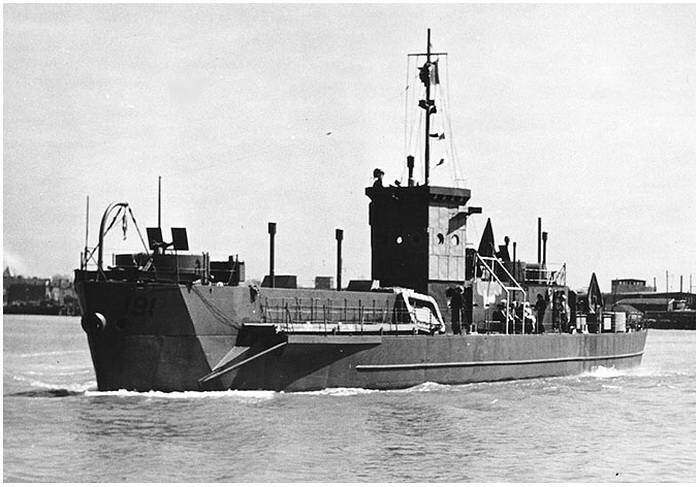 The Landing Craft Tank (LCT) was also a landing craft designed by the British and was perfected by the Americans. As the name suggests, it was intended at first to transport 5 or 6 tanks to the beach. 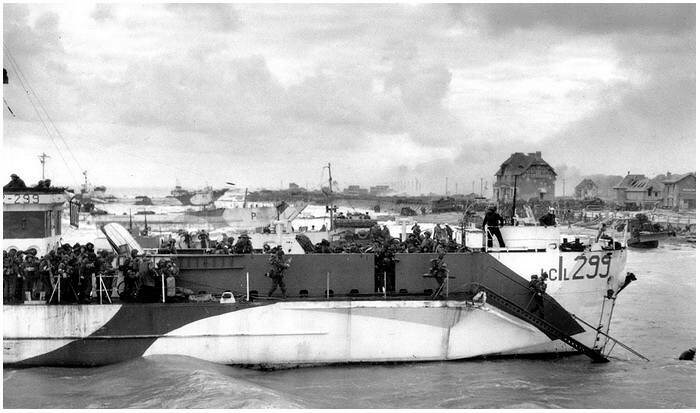 These landing craft were responsible for the unloading of the DD-tanks during D-Day. In rough sea some lost their ramp doors, this was then towed behind the LCT. The LCT was produced in several versions. The type most used during 'Operation Neptune', on 6th June, 1944, was the Mk IV and the Mk V. Almost a dozen were lost that day during the landings. the traverse graduation markings, for lining the canon on board the LCT(A), are clearly visible. One of the versions was the LCT(A), Armored. 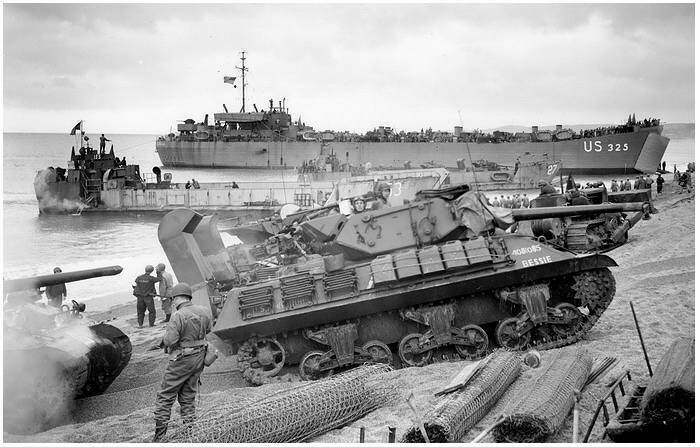 On board were two Centaur 95mm howitzers and one Sherman 75mm who should provide extra firepower during the landings. 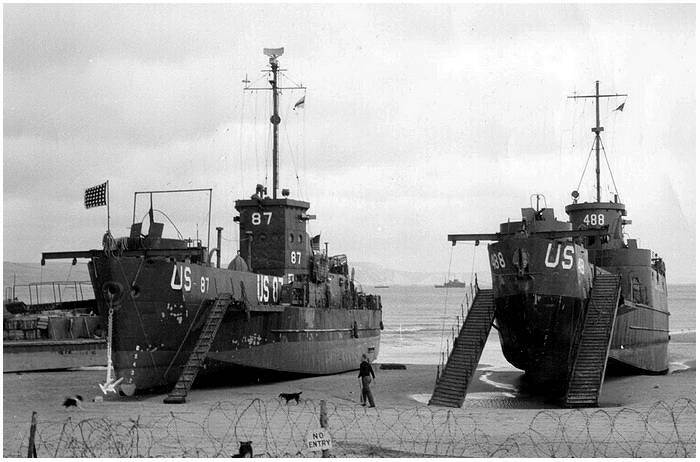 Unfortunately, because of the wild movements at sea these LCT's were not able to bring accurate fire on the targets. So the tanks on board were brought to shore and went on fighting from there on. On D-Day three LCT(A) were lost. 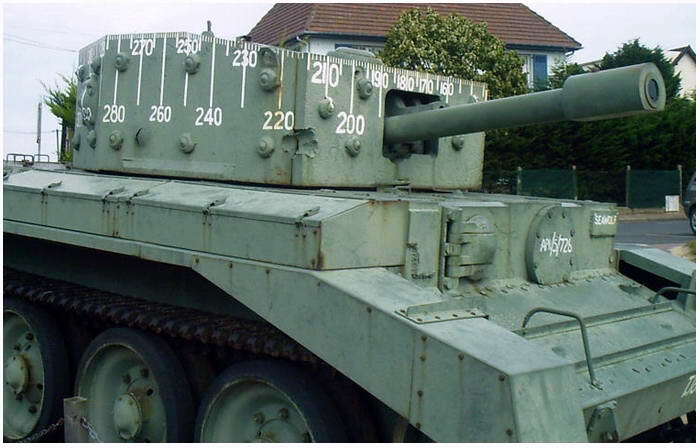 Another version was the LCT(R), these were supplied with rockets, that brought a barrage of firepower. For this variant an Mk III was adapted with 1066 launching tubes that gave salvo's of 24 when fired. 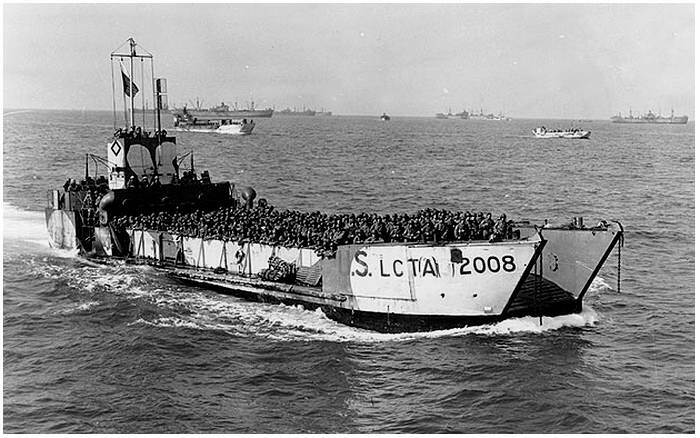 During D-Day 36 LCT(R) were deployed. From the Mk I till the Mk V, a total of 1569 were built, of which 731 Mk IV's were produced, and 500 Mk V's. 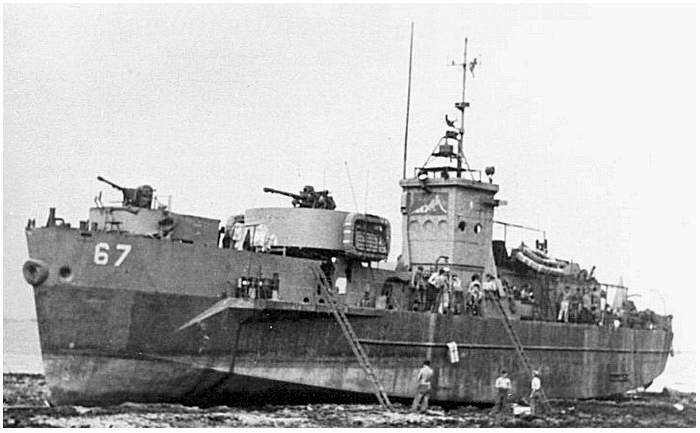 The Landing Craft Infantry was an attack ship in the second line of assault. 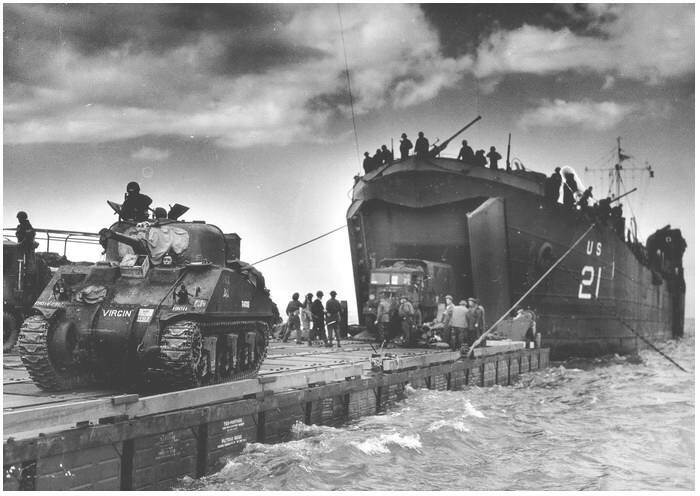 When the first wave of men from the landing boats, like the LCA's and LCVP's, had secured the beach, then the reinforcements in big numbers was essential. For this purpose the LCI was developed. The ship could hold 150 to 200 men. Those left the ship by the on both sides placed debarking ramps. As many pictures show, the LCI's were deployed in de early hours in the British and Canadian sectors. The Canadian Royal Navy used 30 LCI's on 6 June, 1944 in 10 flotilla which brought 4600 men to the Normandy coast. The LCI may not get the price for most 'flashy' assault boat during the landings. This was mainly due to the fact of the sideways placed debarking ramps. It was some sight to see the men stumble of these ships, some with bikes on their backs. Because it lacked a bow ramp, it was impossible to 'storm' from this landing craft. Some later models got a bow door. 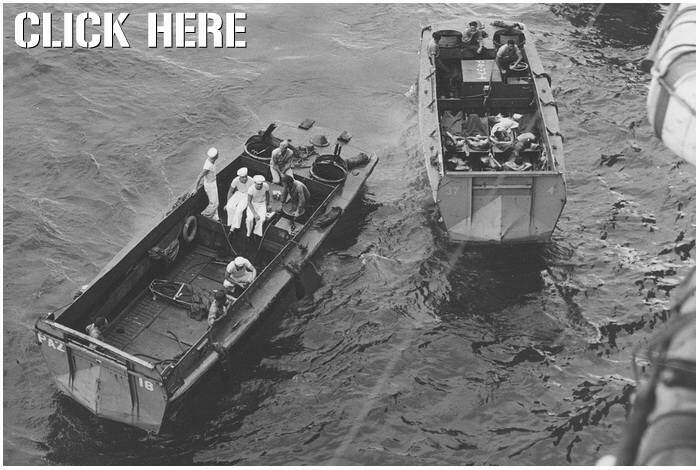 In the American Navy the LCI was known as the 'Waterbug Navy'. It got its nickname after an Admiral saw these craft from the bridge of his battleship towering over the LCI's, it reminded him of waterbugs. But these 'waterbugs' brought in a short span of time and under enemy fire an enormous quantity of men to shore. These craft were not only used for debarking soldiers. The LCI was, just as the LCT, used in different versions. There was an LCI(Demolition) which deployed divers to remove underwater obstacles and on the beaches. 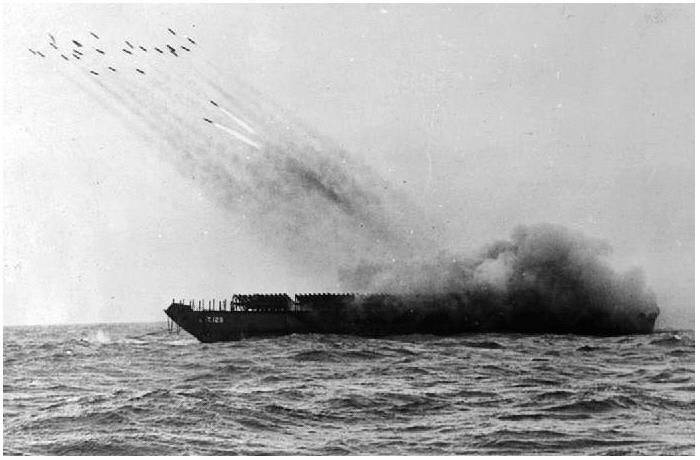 The LCI(Gun) had 40mm and 20mm canons and rockets for close support fire for the troops who went on shore. The LCI(R) was equipped with rockets. These were produced in several versions, one could, for example, fire 600 rockets. The LCI(M) was a version specially built to fire mortars. The LCI was produced in America and had two rows of four General Motors, 6 cylinder diesel engines. These could produce 3600 hp. The LCI with its flat bottom was not designed to cross large masses of water. But the war decided differently, speed was essential, so the LCI crossed the Atlantic Ocean from America to England and even the Pacific to Asia. With it's 48 meters it 'pretended' to act as a seaworthy vessel and crossed the English Channel, loaded with infantry. The LCI rolled unsteady in the waves and many soldiers and crew donated their meals to Neptune. click: here or on the LCVP's below.